When the Tampa Bay (Devil) Rays and Arizona Diamondbacks entered the Major Leagues in 1998, there was a bit of a problem when it came to lining up the divisions and leagues. Prior to the expansion there happened to be 28 teams with 14 in each league. Forcing those counts into odd numbers for each league wasn’t going to work without either one team in each league sitting at all times or Interleague Play all the time. Clearly, those options weren’t options at all and therefore a team had to switch leagues to make it work. The Milwaukee Brewers of the American League were the sacrificial lamb, so to speak, and made the transition from American League club to National League club to begin the 1998 season. It has been a long and most times difficult journey in the National League for the Brewers. They broke into the National League with a 74-88 record and struggled for the majority of the next 10 years, only reaching a .500 or better mark once in their first eight years in the senior circuit. The only 100-plus loss season in franchise history (2002) has come since the move as well. Recent history has been a bit more favorable to the Brewers’ fortunes (including a post-season appearance following the 2008 campaign) but the ultimate prize has escaped this franchise’s grasp. All of the above leaves the Brewers to focus on other kinds of accomplishments, including one counting statistic of which they are on the precipice. The Milwaukee Brewers are on the verge of their 1,000th victory as a National League entity. They’ve lost over 1,300 games since dropping the DH, so this will be a most welcome achievement. In light of this forthcoming accomplishment, and with the prized offseason acquisition on the hill tonight in Florida shooting for it, I thought it would be fun to look back at the winning pitchers of the other round numbers in the team’s Win total history. Offered without commentary, please enjoy this look back at a few mentions of Milwaukee Brewers history. To say you can’t go home again is to never have played professional sports. In the realm of Major League Baseball, in fact, it happens a lot. The Milwaukee Brewers have had a few examples of this over the years, most recently before today in the person of Craig Counsell. Again, though, that was before today. 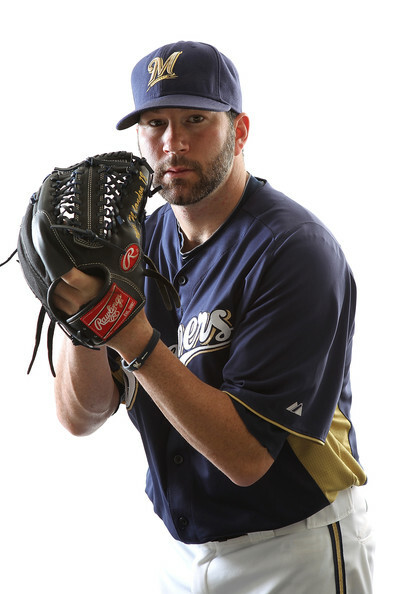 On Wednesday, January 20, 2010, the Milwaukee Brewers reacquired veteran LHP Doug Davis on a one-year contract complete with a mutual option for the 2011 season. Davis, who spent the past three seasons in the desert following a trade to Arizona, returns to Milwaukee where he has a career record of 37-36. He brings with him a reputation for eating innings and hours by not being willing to give in when down in the count. He walks his fair share of hitters but keeps the hit totals in check as a general rule. His contract figure is a palatable $4.25MM (or $5.25MM depending on where you read it) base salary with $1MM available in attainable incentives. This works under the Brewers’ budget and is most likely why Davis was a primary target for GM Doug Melvin in the first place. What Davis brings to the table more than anything else this time around is the generation of competition. Milwaukee now has six starters for five rotation spots. Davis, fellow free agent signee Randy Wolf and ace-in-the-making Yovani Gallardo are all assured of being in the rotation. However, Manny Parra, Dave Bush and everybody’s favorite whipping boy Jeff Suppan now all must earn their starting job…or at least let one of the other two blow their chance. Addition by subtraction is clearly the added benefit to this signing. It ensures that 40% of the starting rotation from 2009 (the worst rotation in baseball at least in terms of combined ERA) will be swapped out with superior personnel. Milwaukee missed the playoffs in 2009 after earning the National League’s Wild Card berth in 2008. After winning 90 games in 2008, the Brewers fell to just 80 victories despite a sufficient offense. With better pitching in place and an offense that returns largely intact or improved, 2010 has the potential to provide post-season play in Milwaukee once again. Personally, I’m looking forward to that ride.